love the dof that frees the cat from the cage almost. Congratulations for the deserved award! I like the greeny view. Very cool capture - definitely meets the "definition" of innocence, the cage somehow adds to the concept -congratulations! How can anyone resist a photo like this. Lovely! The tilt of the head so appealing and you know the bars are there, but they are melting away. Maybe I have another view that he in cage is better than outdoor since winter will come . Beautiful cat and eyes. Great choice of project. Congratulations! Well deserved for BIP award. hope is well.. also if i see a cage..
oh this is really cute :-). 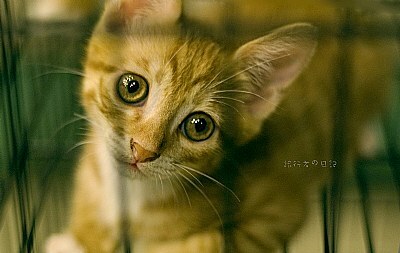 You captured very touchy look of this cat, the sharpness of the eyes excellent. 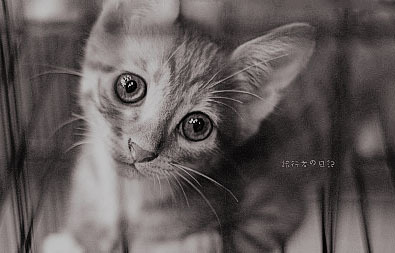 the expression of the cat that make me wanna rate, its nice, but the composition that distract the good moment and expression that sucessfully you've captured.